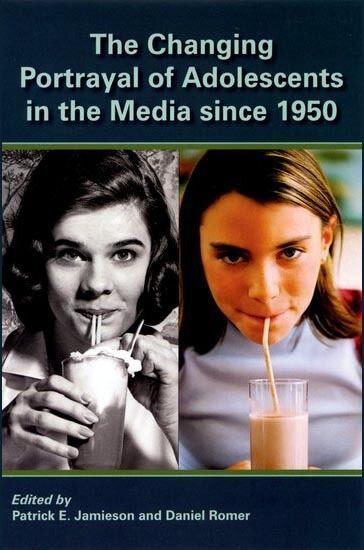 Research and engagement that matter. The Annenberg Public Policy Center of the University of Pennsylvania has been the premier communication policy center in the country since its founding in 1993. 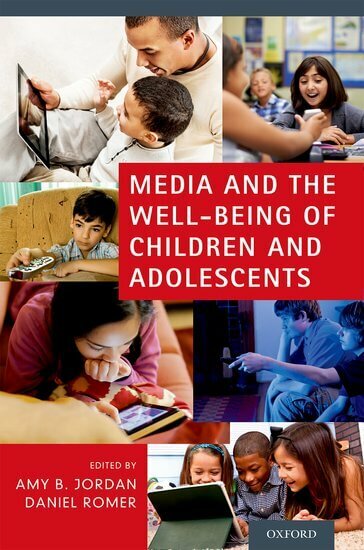 APPC’s work has informed the policy debates around campaign finance, children’s television, Internet privacy, tobacco advertising and the tone of discourse in Washington. This website is designed to give scholars, the media and the general public expanded access to the work that we began in 1993. If there are any questions about materials not yet posted on the site, please contact our office at 215-898-9400 or send us an email. 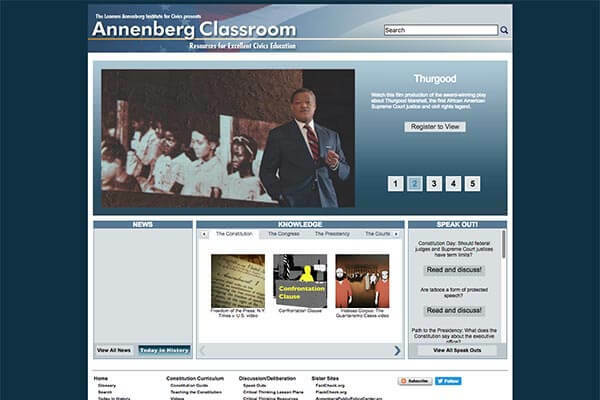 Since 1993 the Annenberg Public Policy Center has studied Americans’ political knowledge, discourse, media use, and opinions about candidates and issues. Its work has included an annual Constitution Day Civics Survey, the National Annenberg Election Survey, studies of presidential debates and incivility in Congress, and research into best practices for debunking misinformation. 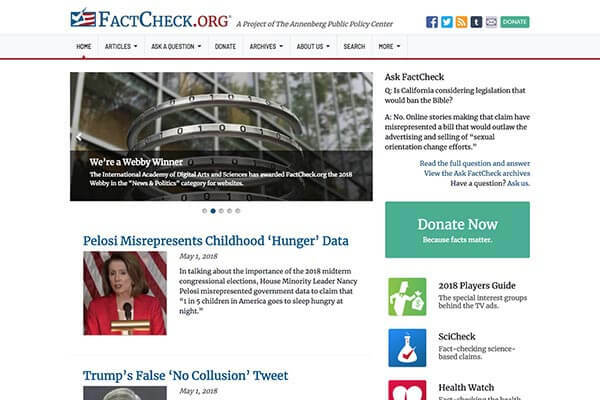 The award-winning fact-checking project is a nonpartisan “consumer advocate” for voters that aims to reduce confusion and deception in politics. 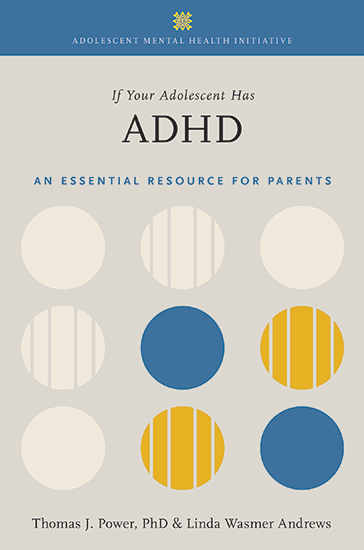 Free classroom resources, including a multimedia curriculum for teaching the Constitution that includes videos, lesson plans, and games. 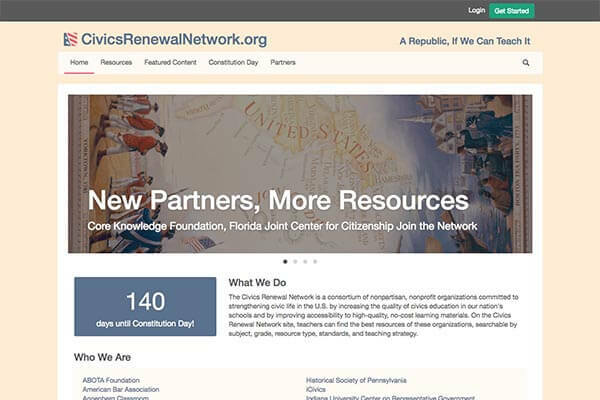 A consortium of more than 30 nonpartisan, nonprofit organizations dedicated to strengthening civic life by providing free, high-quality resources to schools. The Coding of Health and Media Project is the longest, continuous live coding project of it's kind dating back to 1950. 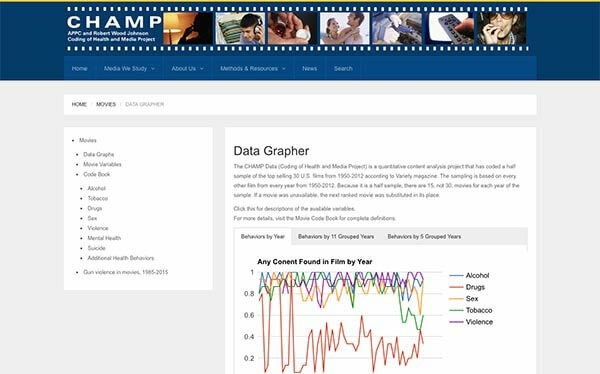 With support from the Robert Wood Johnson Foundation, CHAMP identifies historical trends in risky and healthy behaviors in movies and television. 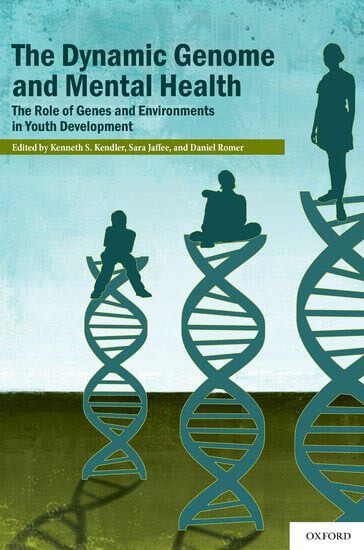 APPC’s research in adolescent health aims to promote healthy youth development by educating the public, scholarly community and policy makers about the latest scientific advances in reducing risks to adolescent health. 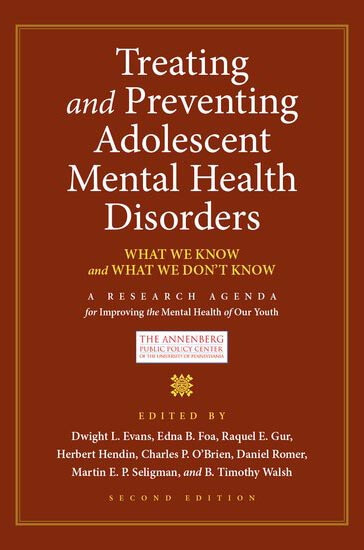 Its work has included the Adolescent Mental Health Initiative books for teenagers, parents, doctors, and researchers; studies on preventing suicide and drug, alcohol and tobacco use; studies of teen driving risks; and research on media violence. The longest running dataset of movies and television in the nation. 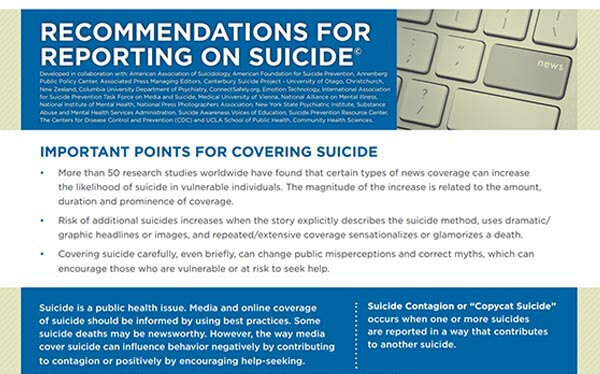 APPC helped to develop and disseminate guidelines for the media on how to report on suicide without contributing to contagion. 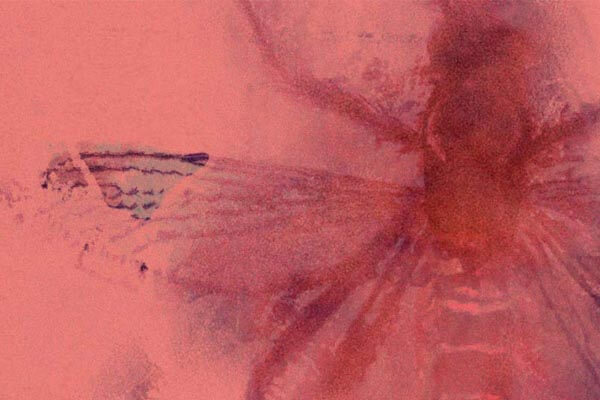 A recurring five-year program, the Annenberg Center for Advanced Study in Communication offers postdoctoral fellows the opportunity to collaborate with APPC on communication research on issues of public importance, including climate change, the Zika virus, and vaccination. APPC's Science Communication area looks at the failure to dispel public controversy over such issues as climate change, vaccinations, and genetically modified organisms (GMOs) despite the presence of valid, compelling and widely accessible scientific evidence. 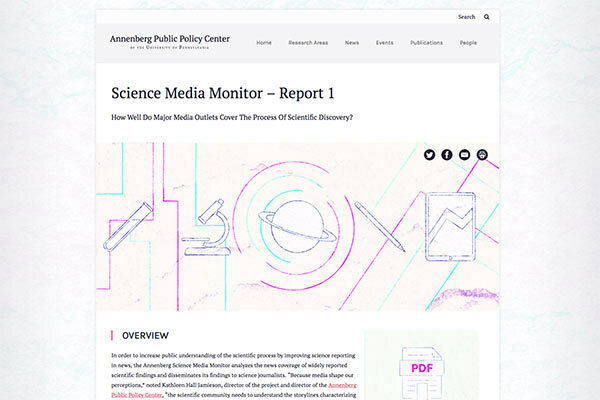 The Annenberg Science Media Monitor analyzes the news coverage of widely reported scientific findings in order to increase the public’s understanding of the scientific process. 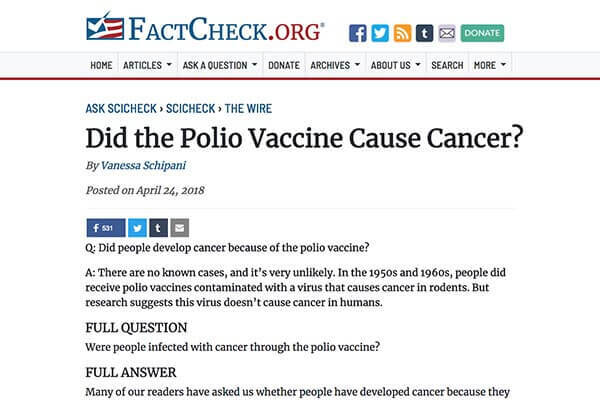 A feature of FactCheck.org, SciCheck focuses on scientific claims made to influence public policy, covering issues as diverse as climate change, science funding, and e-cigarettes. APPC studied the public’s knowledge, behavior, and attitudes toward the Zika virus through the weekly Annenberg Science Knowledge survey. Explore all of APPC’s research and engagement.